the nytpicker: NYT's Multi-Millionaire Health-Care Blogger Returns To NYT This Morning -- With A Half-Sentence "Disclosure" Of His Conflicts Of Interest. NYT's Multi-Millionaire Health-Care Blogger Returns To NYT This Morning -- With A Half-Sentence "Disclosure" Of His Conflicts Of Interest. NYT health-care blogger Uwe Reinhardt -- who earns more than $500,000 a year on several health-care industry boards, and holds more than $5 million in health-care stock -- has returned to the NYT this morning, with a dozen vague words of "disclosure" to readers of his vast conflicts of interest. Reinhardt, a Princeton economics professor, had been writing weekly for the NYT's Economix blog for the last 18 months, with no disclosure of his numerous apparent conflicts to readers, or to his editors at the NYT -- in direct violation of his signed contract with the NYT, and the paper's ethics policies. "Our contracts with freelance contributors require them to avoid conflicts of interest, real or apparent." In other words, the issue with Reinhardt's income and holdings isn't whether, as he put it in a recent interview, he's "shilling" for health-care companies. The issue is that by earning income from an industry he writes about, he creates the appearance of conflict to readers -- who aren't necessarily informed enough to parse Reinhardt's opinions for those that might be influenced by his vast financial ties to the health-care industry. In any case, that policy -- and all NYT contracts with outside contributors -- also demands full disclosure of any possible conflicts to the NYT. As you know, The Times takes very seriously the issue of conflicts of interest and other problems that might undermine the credibility of our journalism. Your freelance contract obliges you to comply with the applicable provisions of The Times’s policy on Ethical Journalism (http://www.nytco.com/pdf/NYT_Ethical_Journalism_0904.pdf ) and to take care to avoid conflicts or the appearance of a conflict. The provisions pertaining specifically to outside contributors are reproduced below, but you should review the entire document. Readers do not distinguish between freelancers and staff reporters in The Times, so as far as possible we expect outside contributors to adhere to the same standards as Times staff members. To date, the NYT has provided readers with no explanation of how it has reconciled Reinhardt's conflicts with its strict policy. Nor has it addressed the fact that Reinhardt apparently failed to adhere to the terms of the contract he signed. In January -- after it was revealed that MIT economist Jonathan Gruber didn't disclose a government health-care contract when writing about health-care issues for the op-ed page -- the NYT published an Editors' Note, informing readers that "Professor Gruber signed a contract that obligated him to tell editors of such a relationship." The note went on: "Had editors been aware of Professor Gruber’s government ties, the Op-Ed page would have insisted on disclosure or not published his article." 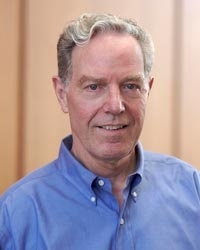 Uwe E. Reinhardt is an economics professor at Princeton and a trustee or director of various health care companies and funds. The NYT's failure to address the many questions raised by Reinhardt's industry ties runs directly counter to the paper's general commitment to ethics, and to its efforts at transparency. In recent months, several outside contributors have been dismissed by the NYT due to apparent conflicts of interest, including "Critical Shopper" columnist Mike Albo, Sunday business columnist Mary Tripsas, and freelance sports reporter Joshua Robinson. Reinhardt's apparent conflicts of interest exceed any of those, by a substantial margin. Yet the NYT seems determined to let Reinhardt continue in his weekly blogging role, without any explanation of how his flagrant violation of the paper's rules for the last 18 months merits no Editors' Note to readers, or public comment. The New York Times is making a mockery of its own rules and of its readers. It's as if the decision makers at the Times are saying "We make the rules, we don't have to follow them." This sort of sordid violation of journalistic principles is happening at the Paper with such regularity that I have to wonder whether anyone in management is doing his job or even cares about doing it. This sort of double standard is certainly not good for the image of the Times nor Reinhardt himself. I wonder if its assumed that the audience is small enough that nobody will care. yea, either the audience is tiny, which could very well be true, or the rules are different if you're a big-name Ivy League professor who hob-nobs with the people whom the NY Times loves to cater to. Bravo to NYTPicker for sticking with this story. The Times's silence speaks volumes. To the last commenter, who is claiming the NYT's silence "speaks volumes." Suppose you get a call at the office. (Let's also say in this thought experiment you are a public figure and a newsmaker.) He says he is a reporter. He won't give his name. He starts asking you questions. If a reporter from NYTPicker called me, I would talg. Look at the record. Lots of NYTers have given interviews/comments to this website. Maureen Dowd, Tom Jolly, Gretchen Morgenson, David Pogue. Why the sudden change by this new spokesman? Simple, they're pissed that NYTPicker won't go away. The NYTpicker, in disposition is neither tracked as a gossip site nor as one that errs. It might pass you over, that the professional team in charge - whosoever they are - have had the stamina to silence a few of the NYT's grave errors. For this, the ethnarch, whence it may be plainly read from the ground, leaves a digital mark, for what it's worth. Is he an embarrassment to the boards he's a member of or is he embarrassed by them? Why the ambiguity? Sheer bizarreness. Does NYT have a policy to disclose underwriting? “It’s one thing to express dissatisfaction with the Government but once you cross the line with a violent threat, that’s a violation that we take extremely seriously,” Bill Carter, the bureau’s spokesman. Academic neoracism is valuable as an internal teaching tool. Glad he squared up the confusion.